One way I thought I could help was by sharing any coupons or voucher codes with the community. I will also share any credit card offers which I find helpful. Whenever I find voucher codes or coupons that may be beneficial to low-income families I will post them on this blog. I sincerely hope you find it useful. 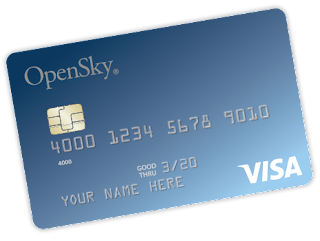 The OpenSky Visa Credit Card is a secured credit card for people on a low income who want to build a credit history. One of the best ways to increase wealth is to establish and build a high credit score, this will enable you to borrow money and invest. The OpenSky Secured Credit Card is offered through Visa and is accepted worldwide. There is no credit history required to apply for the Progress Credit Mastercard. You can use this secured credit card to build or re-build your credit. OpenSky Visa Secured Credit Card reports to all 3 of the credit referencing bureau, so with responsible use you can build your credit history very quickly. You can get a credit line as low as $200 up to $3000, this is linked to your fully refundable security deposit. There is absolutely no credit history required to apply. Also, no credit check will take place and no checking account is required. There are no fees for application and processing and the OpenSky secured credit card is accepted everywhere you see the Visa logo. The annual percentage rate for purchases is 18.64%. The APR for cash advances is 18.64%. There is an annual fee of $35 dollars. This is a fantastic card to build your credit history and score. If you want to learn more and apply please check HERE.